Storm Trooper. . HD Wallpaper and background images in the guerra nas estrelas club tagged: episode 3 revenge of the sith storm trooper. I think this is 1 of the best Posters from Revenge of the Sith. for my least fave star wars movie, it's awesome. This is my only favorite Star wars movie that has the clone wars in it. Yeah.. this is a clone. 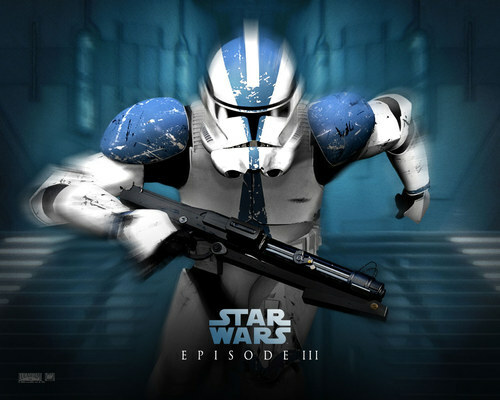 but one thing about the stormtroopers that is facinating is where they're name came form. Maybe like the storms on Kamino? Because, essentially, the stormtroopers did come from clones.